I posted few months before that ATIF ASLAM and STRINGS are working together for a song. And that song AB KHUD HI KUCH KARNA PADEGA by ATIF ASLAM & STRINGS is out now officially. 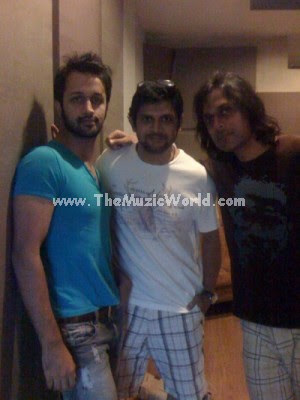 Few days before, the song AB KHUD HI KUCH KARNA PADEGA by ATIF ASLAM & STRINGS leaked on the internet. So the management of ATIF ASLAM removed the song AB KHUD HI KUCH KARNA PADEGA from all those sites and then released it officially. . . The song AB KHUD HI KUCH KARNA PADEGA by ATIF ASLAM and STRINGS talks about to change the society by ourselves. ATIF ASLAM also performed a song HUMEIN KYA HUA in the second season of Coke Studio which was about the negative change in the society. To download AB KHUD HI KUCH KARNA PADEGA by ATIF ASLAM & STRINGS, Click on the given link below.